Clean, renewable Solar Power that offers a long-term, low-risk investment to save you money. There is no better time to invest in Solar Energy and to join the energy revolution. A Florida Solar System will save you significant amounts of money, boost the value of your home and protect you from rising energy bills. 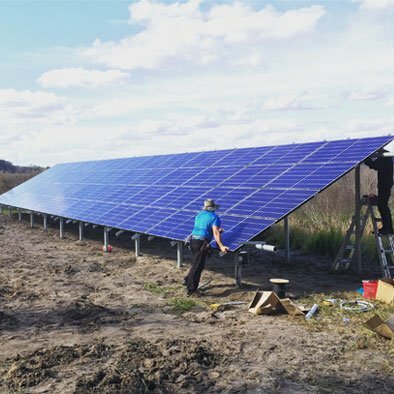 The Sunshine State has around 240 days of sun per year, all waiting to be used as clean power to save you tens of thousands of dollars within a decade. Solar Panels work by absorbing sunlight and converting its energy into direct current (DC) electricity. 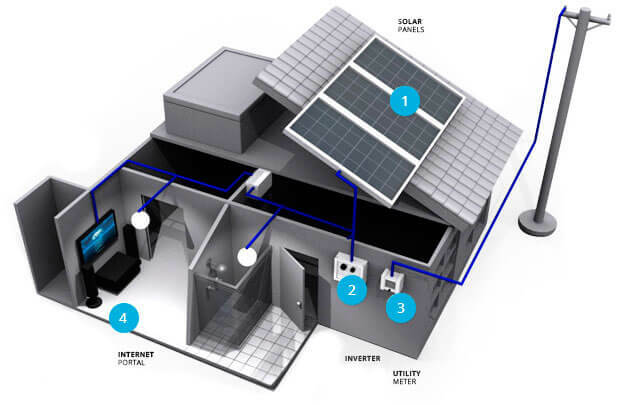 A solar converter then converts the DC into alternating current (AC) electricity, which will flow throughout the property and can be used for free. With Net Metering, your investment will give you the chance to make money back. Any excess electricity that your solar system creates can be fed back into the grid, and you'll be paid for it by the power company! Your property will shoot up in value too, with an increase of $20,000 for every $1,000 saved in annual electricity. As electricity prices continue to rise, investing early will pay off as potential buyers hunt down property with pre-existing Florida Solar Panels. There are various configurations available, including Off Grid Solar (Micro Grids), Hybrid Grid-Tied Solar With Backup Battery and On-Grid Solar Systems. These systems are perfect for any property owners that need to save money, have a backup energy source or reduce their carbon footprint. You can contact us now to discuss any concerns and to find the optimal route to Solar Power that works for you. 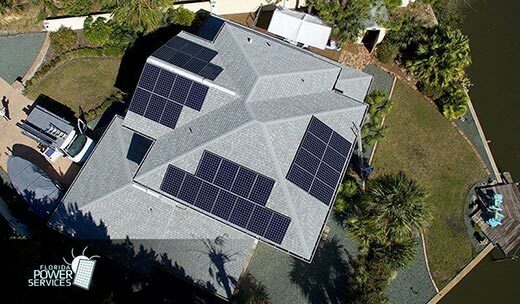 Florida Power Services "The Solar Power Company" installs sleek, world-class solar systems for residential and commercial owners throughout Florida. We take the sun's energy and convert it into clean electricity that earns you tax credits and money. Rest assured, our company is respected as experts in Solar Installation in Florida and consistently helps homeowners and businesses make the step up to solar. If there is ever any unlikely hitch in your system, our expert service team can head out and solve the issue without delay. 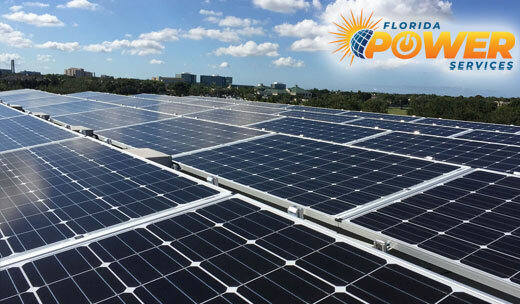 Florida Power Services have worked over the past decade to install four megawatts of solar panels across the state. We strive daily to exceed expectations, by delivering a special experience to our clients with premium products backed by our 100% satisfaction guarantee. When you choose Florida Power Services, you're choosing a company that cares about your involvement. We take care in ensuring you receive outstanding customer service from start to finish.